So Tihar Festival has started here. It runs for five days and is comparable to Christmas in importance for Nepali’s. Yesterday was the dog day! 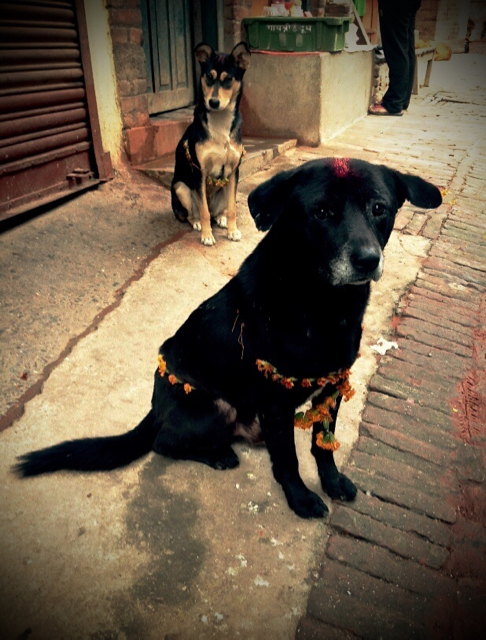 Dogs get a puja on their heads, flower garlands around their necks (see pic below) and get treats all day. Today is Lakshmi Puja, and Lakshmi is the Hindu goddess of wealth, fortune, and prosperity (both material and spiritual.) People bless things like their wallets and safe’s, and hope some more money might come their way. 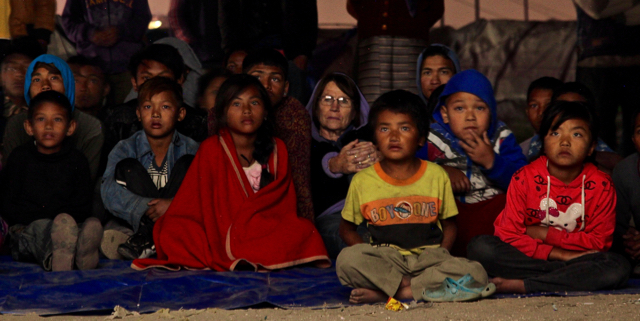 We had a wonderful screening in Chuchepati camp last night, where displaced people are still living six months after the earthquake. Up (dubbed into Hindi) was our main feature and they really enjoyed it, there are lots of dogs in the animation which fitted nicely with Dog Puja day. 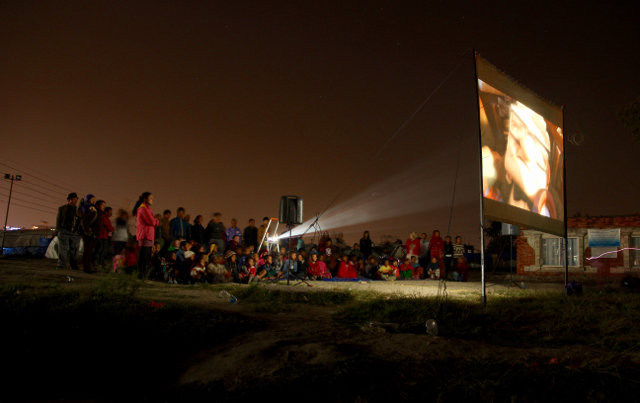 We’d got the kids to film each other before the screening on a small flip cameras, so projected some of that before hand, along with some beautiful shorts and some drone footage I took of the camp from the air. 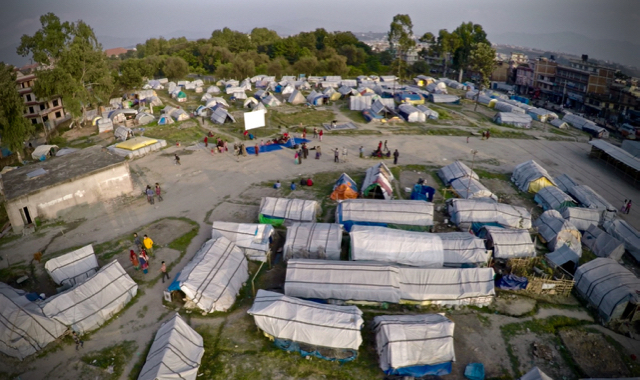 As you can imagine the kids were pretty excited to see a small quadcopter flying over the camp, and then spotting their tents and tent school from the aerial footage. The people in the camp were so helpful in putting up and taking down the cinema, and are very keen for us to return as soon as possible!